*Please note that the below deployment schedule should be used as a guide only. Actual deployment is performed on a block by block basis, based on network accessibility, consumer demand, and geographic distribution objectives. Step 2: View our Phase Deployment Schedule map to determine when you will be available for internal installation. Step 4: Once your phase is open, you will be able to begin step two by scheduling your in-home installation through the customer portal. *Please note: If you do not schedule your in-home installation during your phase you will have to wait until ALL phases are complete. Step 5: ENJOY YOUR NEW, SUPER-FAST, RELIABLE INTERNET CONNECTION! Well, we have two options just for you! For Tier 1 and Tier 2, we offer the Netgear R6400 for $125.00 and for Tier 3 and Tier 4 we offer the ZyXel Router for $172.55. You can also purchase your own router from your choice of technology supply stores. If you wish to supply your own router, please ensure the router is not a cable modem and has the wireless standards of 802.11 ac or 802.11 n to ensure the best possible services. Please also note if you wish to supply your own router, troubleshooting may be limited and you will be required to set the router up after installation occurs. 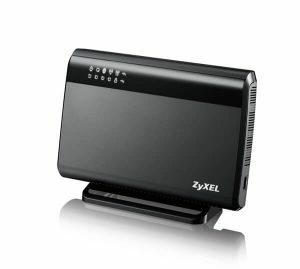 LanCity Connect offers a 6 month and 12-month financing plan for the purchase of the ZyXel Router and the Netgear R6400. Unsure about hardware attaching to the outside of your home and how it will match your decor? LanCity Connect understands your cosmetic needs, therefore, you do not have to worry! Although we must attach our hardware to the outside of your home, in order to bring you the fastest connection available in the City of Lancaster, we have selected small hardware as to not detract from the decor of your home. Please see the image of the hardware to the left. We will attach in an unobtrusive location. Worried about your property value because of our installation? Guess what?! Fiber connectivity actually can INCREASE your property value up to 7%! Check out these links below to learn more about increasing your property value, while increasing your internet speed and decreasing your monthly spending.